In Moser Hall, engineering projects such as the concrete canoe, steel bridge, and moon rover, competed for space with posters including one which described research that developed a mathematical modeling of fracking, for example, as approximately 30 student projects were on display at the College of Science, Technology, Engineering, and Mathematics (STEM) Showcase held on Sunday, April 22. The three-hour event provided an opportunity for STEM students to present their projects to peers, faculty, and the community. In addition, Dr. Nathan Ritchey, chair of the Mathematics department, welcomed roughly 40 outstanding high school seniors into the STEM Leadership Society (SLS). These incoming fall 2012 students, among the best graduates from their high schools, were selected based on their written application and in-person interview. These outstanding student leaders will have the chance to be engaged in community service, research, and internships through their four year program as STEM majors at YSU. Upcoming member Matt Pelch, senior at Howland High school will be majoring in computer engineering, and said that computer courses and interest in video games lead to his decision to enroll at YSU. Pelch added that he looks forward to be a part of SLS and YSU. STEM students spent months, or longer on projects, typically in teams. A part of NASA’s Great Moonbuggy Race, Mike Uhaus and his team were on hand to show their moonbuggy rover, which was a part of a national competition. The event is held in Huntsville Alabama, and high school and college students may participate. Two riders, one male and one female, face away from each other to pedal this human-powered vehicle. Uhaus noted that “last year the team experienced a suspension failure” so for this year’s competition the team focused primarily on suspension design. Junior Mechanical Engineering student Ken Minteer worked with art student Chris Kamykowski on a Collaborative Learning (CoLab) project. CoLab is an effort from the College of Fine and Performing Arts and STEM to bring art and engineering together. Minteer described how Kamykowski wanted to make a barrel of monkeys cast out of bronze. With Kamykowski’s design, Minteer made templates on SolidWorks, a 3D program. “From there” Minteer said “we printed them out on our thermal jet printer.” In Bliss Hall, Kamykowski was able to finish the process by baking the molds and pouring the bronze from the two-coil induction furnace located in the art department. The 2012 Showcase marked a hike in attendance. STEM students were able to present their hard work to families, media, and the community, who were able to see first-hand the capabilities of STEM College students. Also, high school students from area schools were in attendance to learn more about the YSU STEM program, and opportunities for research and project activities. On April 22, Moser Hall was the location for the annual College of Science, Technology, Engineering, and Mathematics (STEM) Showcase. The three hour event serves as a way for undergraduate STEM students to present their research projects to the campus community, as well as have high school students see, first hand, the opportunities available at the College and YSU. About 30 projects were on display, such as the concrete canoe and moon rover. STEM faculty was also present to guide tours through research laboratories and answer questions. In addition, Dr. Nathan Ritchey, chair of the Mathematics & Statistics Department, welcomed incoming Fall 2012 YSU students who will be inducted into the STEM Leadership Society (SLS). Through an application process, SLS accepts exceptional high schools students majoring in any STEM discipline. The students will be involved in community service, internships, and various research initiatives. The Swanson School of Engineering at the University of Pittsburgh is proud to announce that Associate Professor Steven Little, PhD has been appointed Chair of the Department of Chemical and Petroleum Engineering, effective May 1, 2012. Dr. Little’s research focuses on the controlled release of drugs. He holds the Bicentennial Board of Visitors Endowed Faculty Fellowship and also retains appointments in the McGowan Institute of Regenerative Medicine and in the Swanson School’s Department of Bioengineering. Recently, he was elected Chair of the Drug Delivery Special Interest Group in the Society for Biomaterials. Dr. Little joined the Swanson School of Engineering in 2006 where his research focuses on the controlled release of drugs. He holds the Bicentennial Board of Visitors Endowed Faculty Fellowship and also retains appointments in the McGowan Institute of Regenerative Medicine and in the Swanson School’s Department of Bioengineering. Recently, he was elected Chair of the Drug Delivery Special Interest Group in the Society for Biomaterials. Dr. Little holds eight US patents and provisional applications for patents including new methods to fabricate controlled release vehicles in a high throughput fashion; dissolvable synthetic-vasculature; novel complex delivery vehicles; and a description of the first degradable, artificial cell. Since joining Pitt, Dr. Little has received funding from the National Institutes for Health, the National Science Foundation, the US Army, the US Department of Defense, the American Heart Association, The Commonwealth of Pennsylvania, the Arnold and Mabel Beckman Foundation, the Wallace H. Coulter Foundation, and several industrial sources that total almost $5 million. Dr. Little received his Ph.D. in Chemical Engineering in 2005 from Massachusetts Institute of Technology where he held three National Graduate Fellowships and received the American Association for the Advancement of Science Excellence in Research Award for his work on engineered therapies that interface with the human immune system. He received a bachelor of engineering in Chemical Engineering from Youngstown State University in 2000. YSU undergraduate students Kristen Hernandez, Nikki Rendziniak, Nick Ragan, Brian Stahl and Hannah Rebraca presented “Extraction and Characterization of Intermetallic Fe-Al particles from Aluminum Alloys” at the 4th Annual Success in Math and NSF STEM Research Poster Session. Together with Dr. Matt Zeller, YSU Research Staff Scientist at the College of STEM, the students analyzed an aluminum rich Al-Fe melt sample that was sent for analysis by Fireline, Inc., of Youngstown, OH. Fireline, a prime manufacturer of ceramic and refractory materials as well as ceramic-metallic composites, was interested in the exact composition of the melt which is used during the fabrication of metal matrix composite materials. Optical microscopy of a polished piece of the solidified indicated the presence of two compounds, a silvery matrix with small black needles and plates embedded. 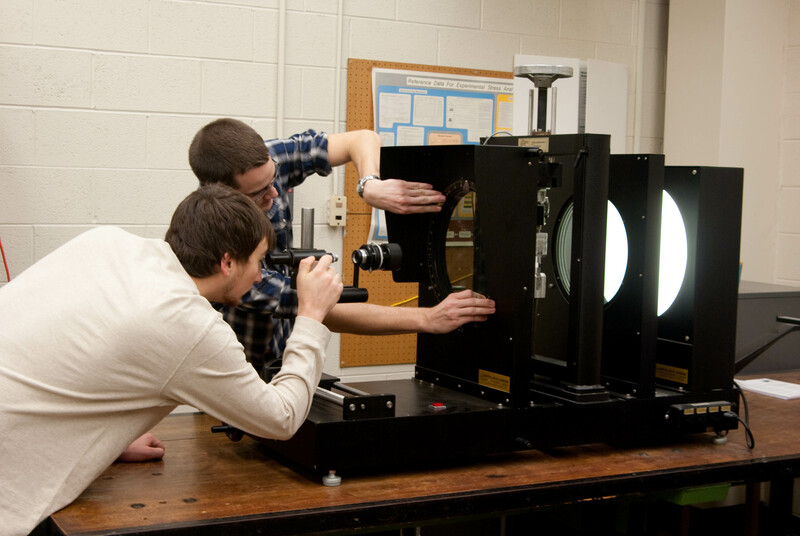 Using X-ray diffraction, the students identified the silvery matrix as aluminum metal. To determine the nature of the black needles, the Al-Fe melt was cut into small pieces and the aluminum matrix was dissolved using a chemical extraction processes – an iodine tartaric acid method and a method using boiling phenol. The latter method succeeded in selectively dissolving the Al matrix. The students analyzed the extracted black needles and plates using powder and single crystal X-ray diffraction and were able to identify them as an Al-Fe alloy of the composition Al13Fe4. The alloy, which initially was thought to be potentially unstable over time based on the tables published by the American Society for Metals (ASM International), which would have had implications for the stability and strength of products containing this Al-Fe alloy, was confirmed to be the most stable Al-Fe alloy of this composition. For their presentation, the YSU students were awarded one out of only two First Place Prizes from a total of 112 contributions from over 300 students from Case Western University, University of Akron, Cleveland State University, Kent State University, and Cuyahoga Community College. Women in the science and engineering fields are underrepresented; however, one program at Youngstown State University is bringing exposure in these areas to the forefront. The fifteenth annual Women in Science and Engineering Career Day (WISE) will be held on YSU’s campus Saturday, March 3, 2012. This free all day event is open to girls in grades 6-12. The program is filled with educational, hands-on activities throughout campus, and presentations from a keynote speaker and panelists of industry professionals. YSU Professor and Director of WISE, Diana Fagan, said the program began because participation in these fields is low, and WISE wants to “reach” the girls “before they attend college.” The first year of WISE saw 56-80 girls from twenty different schools come for the event; these numbers have dramatically increased. Within the past five years, 120-140 girls from 99 schools have partaken in WISE each year, and come anywhere from Akron to Pittsburgh, Fagan noted. Dr. Pamela L. Gay is this year’s opening keynote speaker, and is an assistant research professor at Southern Illinois University Edwardsville. Gay’s educational background is extensive: she received her B.S. in astrophysics from Michigan State University, and her Ph.D. in astronomy from the University of Texas. On her blog, Star Stryder, Gay states that she is …”focused on using new media to engage people in science & technology.” Another way she furthers this is by co-hosting Astronomy Cast; a weekly program that answers listeners questions, and discusses various scientific topics. One of the many benefits of WISE is that the girls simply will have “fun” Fagan said. Workshops are designed to be very interactive, and may include activities such as investigating a crime scene, fingerprinting, or involvement with chemistry, physical therapy, and bioengineering. The girls can also choose from various panel discussions, and will be linked with women in science and engineering disciplines that have provided their information in order to serve as mentors. While the girls join their sessions, parents or guardians will have the opportunity for a tour of YSU’s campus, as well as attend financial aid informational sessions. WISE will be expanding in the future, thanks to the generous support of the Edward W. Powers Educational Charitable Fund. Senior Development Officer, Heather Chunn, conveyed that a public announcement of a new endowment for the program will be held on Wednesday, February 15, 2012 at 2:00pm. Girls coming to the Women in Science and Engineering Career Day receive real exposure to occupations in science and engineering fields. If they continue with their interest and work hard, they may become future students at Youngstown State University. More information and registration for WISE is available on the College of STEM website. Being involved in campus activities is an integral part of the college experience, and students in the STEM Leadership Society (SLS) have the opportunity to do just that. The SLS focuses on bringing the most highly qualified high school seniors to YSU’s STEM College. Currently at 45 members, the SLS provides opportunities in leadership, academic enrichment and community service. By promoting interaction with faculty and business leaders, the SLS provides students with “access to all of the opportunities that would be available at a large, major research institution, but remains small enough so that students actually can take advantage of those opportunities” according to Martin Abraham, Dean of the College. For active students in the SLS, the benefits are largely rewarding. Darrell Wallace, Associate Professor in Industrial Engineering and the new Director of the program, said students gain an advantage by having “…close interaction with faculty, exclusive academic enrichment opportunities, social activities, and access to experiences with SLS industrial partners.” Internships that provide real work experience enhance student’s job prospects, and the close connection that SLS students have with potential employers enhances their placement opportunities. The goal of the organization, Wallace said, is to “create a strong, student-centric organization that provides unique and attractive opportunities for exceptional STEM students.” SLS Secretary and biology major Ashley Bowers confirmed that “SLS provides opportunities that otherwise students may not have.” In the future, SLS would like to host events with professionals in the community, to further promote student networking opportunities. As SLS continues to grow, so does their overall mission. The SLS focuses on recruiting highly qualified incoming STEM freshmen. An initial application is used to provide information on those interested, and then a smaller group is selected for interviews by a faculty panel. The faculty is trying to identify those students who can excel at YSU, as evidenced by the students’ high school grades, participation in extracurricular activities, and teacher’s recommendation. High school seniors who will be enrolling in a STEM program for Fall 2012 may apply for the SLS no later than March 1, 2012. The round of finalists will be scheduled for an interview on March 17, 2012, and the selected students will be announced by April 1, 2012. More information on the STEM Leadership society is available on the STEM College website, and an application can be found here. The accompanying photos are provided by Dr. Felicia Armstrong. Science is bringing area students to Youngstown State University. The Ohio Academy of Science (OAS) District 15 Lake-to-River Science day will make its way to Beeghly arena (Roselli court) on Saturday March 31, 2012. Science Day is a yearly regional event that brings hundreds of students from parochial, public, and private schools in grades 5-12 for presentations in scientific research. District 15, which includes Ashtabula, Columbiana, Mahoning, and Trumbull Counties are just one of 16 districts that participate in the all day science fair. The accompanying photos are provided by Dr. Felicia Armstrong. According to Stephen E. Rodabaugh, YSU’s Science Day council member and Associate Dean of the STEM College, students must adhere to strict guidelines set by the OAS. Students begin their research months in advance in one of thirteen categories and will have to log their research, create an abstract/hypothesis and complete a poster board presentation. Projects cannot be demonstrated, but students may have photos, graphs and charts that describe their work. Two judges are assigned to each project, and participants are rated on a 40-point scale. Those with a minimum score of 36 will advance to the State Science Day, held on Saturday, May 5, 2012 at The Ohio State University. Participants at this level compete for substantial prizes and scholarship dollars. Science fairs have been on the decline across the nation, especially in District 15. However, grants awarded by Dominion Gas and General Motors have aided in bringing these events back to the schools in various ways. Due to their generosity, Rodabaugh noted that many of these funds help students with materials and in cases of need waive the $30.00 registration fee. Teachers also benefit through science workshop trainings and assistance with how to bring science fairs back to the schools. Grants received for Science Day also allow YSU STEM students to travel to participating schools as coaches, assisting with project research. Students from Trumbull County’s Neal Middle School and McGuffey Elementary, and Volney Rogers Middle School in Youngstown will represent their schools at YSU, with 20-25 students expected to participate. A growing new research effort at YSU originates in the Photonic, Optical, and Electronic Materials (POEM) group, begun by YSU physics faculty and now including engineering and chemistry faculty. In physics, for example, the POEM group has been actively recruiting students for the past three summers in cutting-edge research supported by multiple National Science Foundation grants, as well as grants from the State of Ohio Third Frontier Program. Ongoing support for YSU student research into polymers as photonic and optical materials has been provided through YSU’s affiliation with the National Science Foundation’s (NSF) Science & Technology Center for Layered Polymeric Systems (CLiPS). CLiPS is a multi-institution collaborative research and education Center begun in 2007 with now ten years of pledged NSF support at nearly $40M. Four YSU faculty members have participated in CLiPS, including Drs. Andrews, Crescimanno, and Oder in Physics and Dr. Price in Chemical Engineering. In addition to material support, research collaboration opportunities, and support for off-campus research experiences for YSU students, direct support to YSU as an affiliate of CLiPS is anticipated to total over $300k. Since 2008, YSU faculty has co-authored at least seven refereed publications partially supported through CLiPS with several more in preparation and many including YSU students as co-authors. 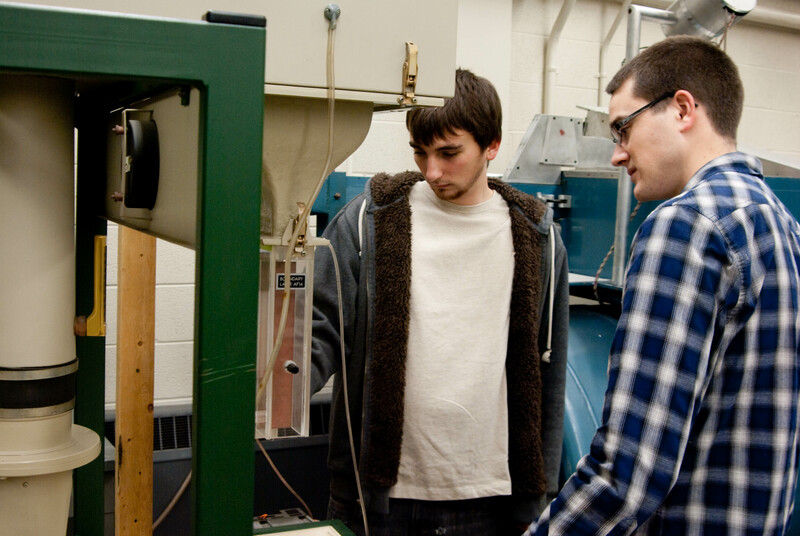 A major component of CLiPS programs is the training of undergraduate students at Affiliates Programs, like YSU, and the recruitment of undergraduates into summer research experiences and, eventually, graduate research in polymer science & engineering. In addition to their research at YSU, POEM students have participated each summer in research experiences for undergraduates (REUs) at nearby Case Western Reserve University, the lead institution for CLiPS. The REU program introduces students to CLiPS technologies, polymer science and STEM research and serves as an important pipeline for American students into CLiPS graduate programs. This year the first four American students accepted into the CWRU PhD program in Macromolecular Science & Engineering were REU alumni, including James Aldridge, graduate of Youngstown State University, who joined the prestigious research group of Dr. Eric Baer, Director of CLiPS, in June, 2011. As part of the REU experience, students work as members of CLiPS Layered Research Teams for ten weeks under the mentorship of a graduate student. In addition to daily research activities, REU students participate in weekly program meetings during which they hone their presentation skills, attend lectures in various areas of polymer science and engineering, and discuss professional ethics. The summer program culminates in the Northeast Ohio Undergraduate Polymer Symposium, an event showcasing the summer research work of undergraduates from CWRU, the University of Akron, Kent State University, and NASA. 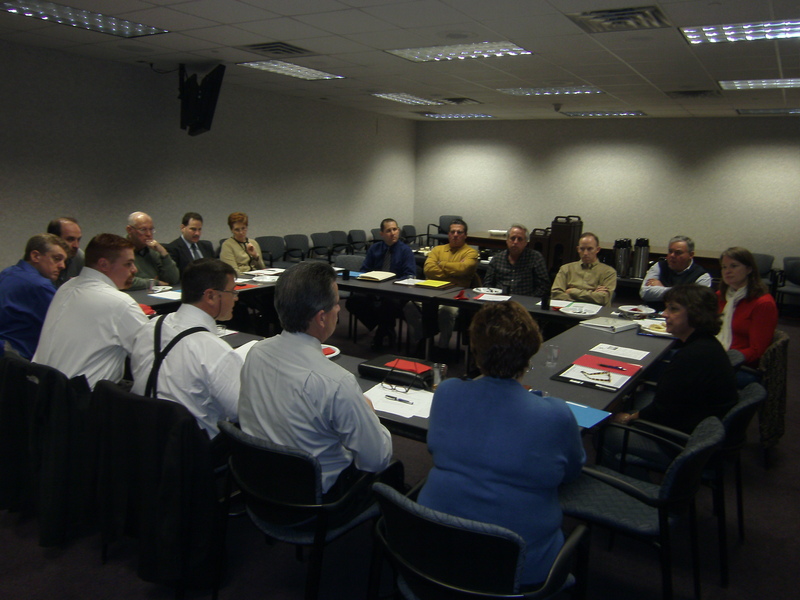 YSU’s Center for Transportation and Materials Engineering held an Advisory Board Meeting in Moser Hall, Friday, January 6, 2012 with 16 members present including Ms. Cynthia Gerst, Research Program Manager at the Ohio Department of Transportation. The Advisory Board sets policies and procedures for the CTME which are the guidelines Joann Esenwein, as Director, uses to make decisions throughout the year. The Board also has input on the selection of research, outreach and workforce development projects selected for funding. Ms. Gerst presented an overview of the ODOT Strategic Research Plan. Ms. Esenwein went over the highlights of 2011 which included the submission of a proposal for new funding through the University Transportation Centers program, submitted in collaboration with the University of Pittsburg and University of Akron. Additional highlights included YSU’s Transportation Career Day, an ODOT visit, and funding received from ODOT District 4. Esenwein also informed the Board that the call for white papers for new research activities within the current funding cycle went out January 3, 2012 and are due January 18, 2012. Three STEM graduate students are taking the next step in their academic aspirations. 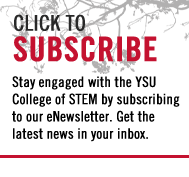 YSU graduates Kristin Frank, Michael Kovach, and Adam Palumbo are the recipients of the 2011-2012 Cushwa Commercial Shearing Graduate Fellowship. 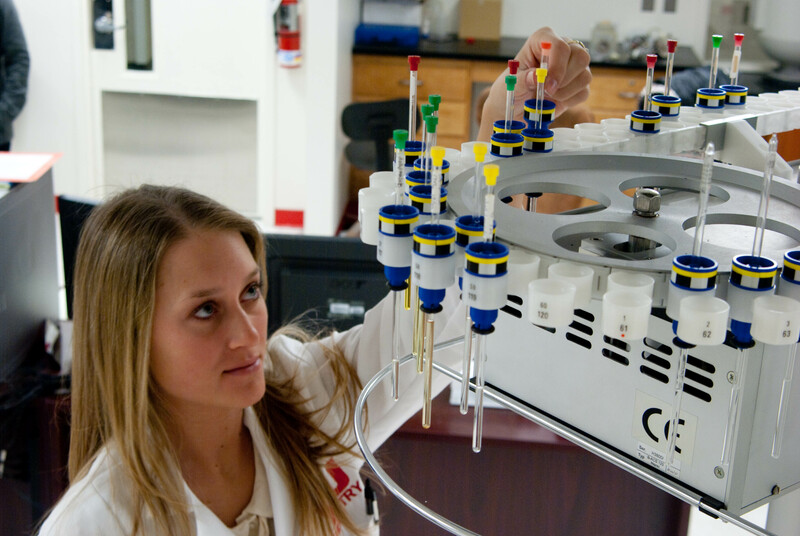 Established in 2003 by the Cushwa family, in cooperation with the YSU Foundation, the Fellowship gives outstanding graduate students real work experience through research and internships (working 20 hours a week for 16 weeks) and lessens the financial burden by granting a $15,000 stipend. For the Fellows, a great deal of their preparation began as an undergraduate. For chemistry student Kristin Frank, she said “as an undergraduate I spent the majority of my time studying and preparing for classes to ensure the best grades possible.” Her dedication has paid off. With YSU chemistry professor Dr. Brian Leskiw, Frank is conducting research in the physical chemistry field, and will be interning with Timothy Eastly, another YSU faculty member, through Toxicology Enterprises Inc., a Warren based drug and alcohol detection laboratory. Frank will be assisting Eastly with probationary drug testing. Frank said that the Fellowship…” has provided me with several opportunities I would have probably not otherwise had access to.” Frank’s future plans include obtaining her Doctor of Pharmacy degree. Michael Kovach’s mechanical engineering background has given him the opportunity to work with General Motors, Lordstown. Kovach is working on one of the main robotic arms in the planting department conducting a failure analysis (weakening of frequently used parts). Kovach said that when one of these arms fails, the production slows or shuts down; this can potentially cause a considerable loss of revenue. After completing his project Kovach said that…”we are trying to develop a monitoring system that would give an early indication of trouble so it could be fixed. If successful, it may be implemented on other robotic arms and /or other GM facilities.” With the Fellowship, Kovach said that he has gained “real life experience” and plans on obtaining his Professional Engineering license. Adam Palumbo, another mechanical engineering Fellow, has taken a different route with his research. Palumbo is working on using different technologies to cool surfaces of solar panels. Palumbo said that he was fortunate to have begun research as an undergraduate with faculty member Dr. Ganesh V. Kudav. Palmubo said this helped him transition to the graduate program, and the Fellowship has provided him with a “sense of responsibility.” Like Kovach, Palumbo also plans on obtaining his PE license in the future, after working full-time with a company. The Cushwa Commercial Shearing Fellowship provides students with unique opportunities, and experience in their field. In addition to the three students highlighted, other Fellows include Brianne Ciccone, industrial systems engineering, Mark Macali, mechanical engineering, and Brandon McMillen, mathematics. Students with an undergraduate degree from any STEM discipline, including those who have obtained their degrees from other institutions, are encouraged. Also for the first time, students interested in the new PhD in Materials Science and Engineering are welcome to apply; the PhD stipend level has been established at $25,000 The next application deadline will be April 2012. More information about the Fellowship is available here. Dr. John Feldmeier, Assistant Professor of the Department of Physics and Astronomy, was named to the portfolio review committee for the National Science Foundation’s program in Astronomical Sciences. The NSF funds a significant portion of the astronomy research across the country, in addition to its role as the leading funding agency for scientific research in the U.S.
Every ten years, astronomers across the nation make a list of research priorities called the Decadal Survey. However, this time, the survey was done before the global economic collapse. The portfolio review committee will advise the NSF on how to proceed with the planned projects. Dr. Feldmeier said his involvement on the committee ensures that YSU STEM students have the opportunity to proceed with their scientific research at the university. He added that many large universities like Harvard and Princeton are involved in this process, and his position on the committee will raise YSU’s profile with those major research universities. “I am greatly honored to be part of the NSF Astronomy Portfolio Review. We hope to find the best way for astronomy to move forward in a very difficult environment,” he said. For more information about the portfolio review, visit the program website. Sean Robinson (right), junior Physics major, completed an REU (Research Experience for Undergraduates) at Case Western Reserve University this past summer. This National Science Foundation-sponsored REU was held in conjunction with the NSF-funded Center for Layered Polymer Systems (CLiPS) led by CWRU. YSU’s Photonic, Optical and Electronic Materials Group is affiliated with the CLiPS program and part of the Center of Excellence in Materials Science and Engineering. Sean, who did research related to the “Optics of Multilayered Polymer Films,” was the fourth YSU student to be selected for this continuing research. He was preceded by YSU STEM students Jessica Shipman, James Aldridge and Kyle Comeau. William Hill (left), also a Physics junior, did research on “Mathematical Probabilities” through an REU at Clemson University. The new Ph.D. program in Materials Science and Engineering focuses on industrial collaboration where students will participate in research projects relevant to current industry innovations. Dr. Hazel Marie, the program’s director, said, “The program is unique in its emphasis to produce Ph.D. students that will use their talents in local and regional industries.” The program received final approval this summer and is now accepting students. The new program and related research will become a vital hub for regional economic development and position YSU as an urban research university. Faculty from multiple science and engineering disciplines will work together with industry partners to champion scientific, engineering and commercial development throughout the region and beyond. Program graduates will have significant internship and outreach opportunities that will have a major impact in the region. For more information on the program, visit the Ph.D. program website. The YSU STEM College has enhanced its cooperative/internship program for students designed to increase employment opportunities. Students can choose between three types of academic work assignments – internship, co-op, or professional practice. This type of collaboration between the college, students and industry partners benefit all parties involved. Not only do students gain valuable knowledge in their field, they build relationships within the industry improving their employment opportunities after graduation. Employers get a chance to work with students to determine if they can add value to their company on a permanent basis. Employers can share knowledge and cost for research projects by building relationships within the University. The STEM College benefits as well by creating new partnerships with employers to further research opportunities and collaborative efforts. Hrusovski plans to develop new industry relationships with companies like BP Corporation, First Energy, GE Lighting and JM Smucker Company. She is developing new marketing pieces and establishing electronic networking opportunities. She is working on a link accessed through the STEM website where students, faculty, and employers can find pertinent information on various features of the professional practice services and programs. Employers can learn how to post internships and cooperative education jobs as well as how to recruit students on campus. Employers interested in finding more information about the program and posting positions can email STEM.jobs@ysu.edu. Hrusovski is also working with the Williamson College of Business Administration to implement a central database, PPOD (Professional Practice On-line database), which stores student and employer information and allows them to easily connect with one another. For more information on PPOD, employers can visit the PPOD website. Students and employers can also connect through mediums like the YSU Job Expo and Interview Day where students sign up to attend interviews for either internship/co-op or full-time opportunities upon graduation. They can interview with prospective employers like American Environmental Group, Farmers National Bank and CMI Industry Americas, Inc.
Hrusovski encourages all students to take advantage of this opportunity and said that it can take four to six months to find a job after graduation. She adds that 70% of employers hire students with some type of experience. They look for qualities like team management, leadership, technical competence, ethical behavior and motivation. Cooperative and internship programs provide those skill sets and promote future employment viability.